It looks old... but it's not. 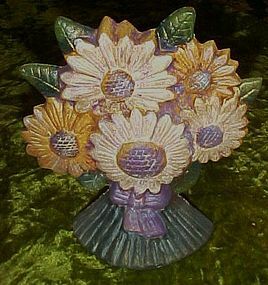 made of hand painted cast iron, it is a bouquet of daisies. Measures 7 1/4" tall. Good condition.